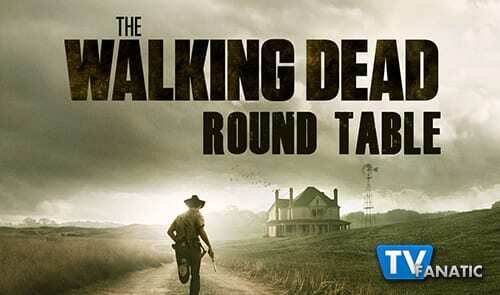 The Walking Dead Round Table: Will Beth Be Rescued? 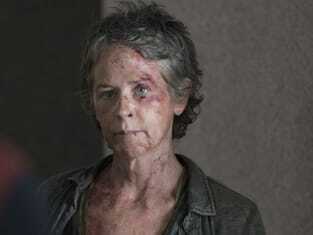 Now, Carol is in the hospital and Daryl and Noah have gone back to the church to rendezvous with Rick and the gang. Before we get to the winter finale and see the carnage which is sure to come, the TV Fanatic Round Table is here to break down this week's installment. What was your favorite quote or scene from "Consumed?" Eric: My favorite scene of this episode is when Daryl put down the mom and child zombies in the abused women’s shelter and Carol awoke to find him burning their bodies. There was great symbolism of fire in this episode. The fire for Carol represented the burning away of her past and refining her for her future. Fire is a continuous theme throughout the episode - hence the name “Consumed” for the title of this one. Whitney: I liked the ending, with Daryl and Noah racing off back to the church to gather the troops. There was a subtle moment in the truck when Noah just looked at Daryl with what I perceived to be a mixture of awe and fear. It was an exciting end to a lackluster episode for me. Sean: I actually liked the van crash scene. There was an intensity to being surrounded by the walkers and then having to buckle up once inside because they knew they were going over. Even Daryl and Carol’s facial reactions contributed to the moment. Now, the fact that they survived without pretty much any damage was a major stretch, but I liked the scene otherwise. Carissa: This is going to get old, because I'm noticing that Eric has a lot of the same reactions to the ep that I did. The scene burning the bodies was so different than how nameless, faceless dead are dealt with that it held a lot of meaning. Miranda: I loved that scene too, Eric, because of the gesture and what it meant for Carol but also because it wasn't Beth, which is what so many thought after the clip was revealed during last week's The Talking Dead. We haven't seen many children on this show, but the reality is that children became walkers too. As a mom that broke my heart. How do you feel about three episodes in a row focused on only a small portion of the group? Eric: I always enjoy character development episodes and this one was no different. I didn’t feel the performances in this one were convincing enough. I also could not believe Daryl would make such a stupid choice as to get in a teetering van over a bridge while zombies were approaching. Not to mention, the van would not have naturally fallen on it’s wheels - would have fallen on it’s roof. So, that entire sequence was not well done. I believed this one was the weakest of the three - as far as character development and moving the story along. We still haven’t gotten very much further in the story after 60 minutes. Sean: I didn’t think it was really necessary to go back and tell what happened to Daryl and Carol. In fact, when you look at it, even in focusing on all the smaller groups, it’s not like the groups have gotten very far on any of their journeys. But I was OK with this one in the end because it was Daryl and Carol. I liked seeing them interact. Truthfully, it’s time to bring them together again and move forward, battle the hospital, and hopefully, get out of Georgia. Carissa: They can be some of the best, most revealing episodes. I was particularly impressed with the one that featured Carl struggling to become a man while Rick slept on the couch. This was similar in the way it showcased that less can be more when it comes to the Apocalypse. The nuances of just living really work for me. Miranda: I love character-centric episodes, maybe because I'm a sucker for backstory, but also because sometimes it's just nice to slow things down. This one, however, felt cumbersome and unnecessary. The action of the episode could've taken place in 15 minutes or less, and much of the night was comprised of quasi-flashbacks which feels sort of cheap. It's time to get the gang back together. 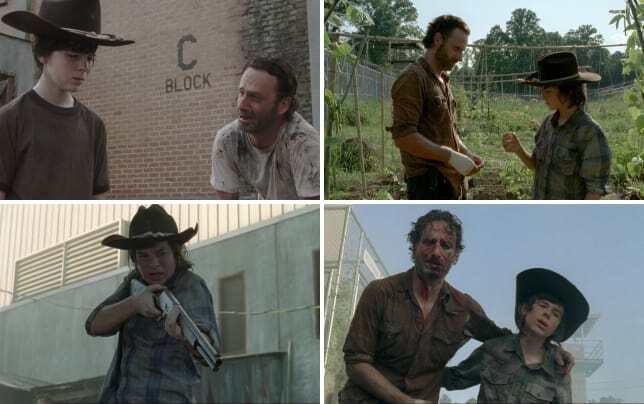 Which of TWD characters has changed the most since The Walking Dead Season 1? Eric: Carol for sure. She’s changed radically. Whitney: I have to agree with Eric, as Carol has come a long way from season 1. She's far from the timid woman we met so long ago. Sean: Yup, definitely Carol. It’s certainly been the most obvious. I never thought she’d be a character I’d wind up really caring about, but she’s one of my favorites. Carissa: I agree with Eric, again. She started as battered and dependent and grew to be strong and self-reliant. It's a beautiful arc. Miranda: This one's unanimous. Of all the characters who've grown the most, Carol is the queen. I'm glad she got to stay when her early season weakness would've made her an easy death. Are Carol and Daryl The Walking Dead's best platonic pair? Eric: I’m getting a little weary of them not moving closer in relationship. I would have liked to have seen them move closer to a non-platonic one. My favorite relationship that’s platonic for me is Michonne and Carl. Whitney: I've never really been on the Daryl/Carol train. I don't get a romantic vibe from them, more of a respect and deep understanding. And that's what definitely makes them the show's best platonic duo. Sean:Sure. If anything, I just really like how well they work together, can talk together, and are badasses together. I don’t really need a romantic relationship from their partnership because so many other good things are coming from them being together. Carissa: I'm not sure what their relationship is, but the bonding in pairs is one of the greater strengths of The Walking Dead and these two are no exception, but I can't commit to their being the best. Miranda: I've never been on the bandwagon of Carol and Daryl as anything other than friends, and their relationship has always been one of my favorites. They have a quiet understanding of one another that is really well played by Norman Reedus and Melissa McBride. Michonne and Carl are totally great, too, Eric! Good call. How will Daryl, Noah and the group rescue Beth and Carol? Or will they? Eric: I don’t believe they do successfully rescue Carol and Beth. I believe they try in a failed attempt and Daryl comes back to the group with Noah for support from the rest of the gang. Whitney: There's no way they will be able to just waltz in and grab Beth without their being some complications. I'm just hoping they're all able to get out of there alive. Sean: Good luck on that one, that’s for sure. They barely made it out from Terminus and now they have to battle another group? Someone is definitely going to die and I’m sure the fall finale will leave us one of those cliffhangers. Carissa: I have a feeling it's going to be more difficult than expected, that Carol and Beth will be on their own for a while and one of them may not live. Even given Bob's recent death, always triumphing isn't the way the story rolls. Miranda: I'm quite terrified that Beth isn't going to make it out of the season alive. I hope they're able to rescue her, but as it's a finale, someone is dying. Here is your first look, meanwhile, at The Walking Season Season 5 Episode 7, "Crossed." Carol: You said that we get to start over. Did you? Walking Dead Round Table: Will Beth Be Rescued?